Although it has always been said that weight loss should be a slow process, there will always be times when people want to lose a few pounds in a short space of time. As long as it is just a very short space of time, it cannot be too unhealthy, but if there is a dramatic loss over a number of weeks that is a different matter. A lot of diet products claim that you can achieve amazing results and when this happens it is often best taken with a pinch of salt. However when they claim that their product practically has magical powers then its use needs to be considered very carefully. Even when it is only to be taken for 5 days, it is best to know just what you are taking and just what the effects are going to be. What Is In Skinny Mini? One product that is commented on in particular is the Kakuda plum that has been considered as bush tucker as well as having healing properties by some Australians. With so many items it is hard to know what each one will do, how much of each one is included and how much of each one is actually required in reality, for it to be effective for weight loss. The company lists all the items that are in the product, but many of them are little more than traces. The product is sold in sachets and one must be added to water and drunk before both breakfast and lunch. The third should be taken about an hour before going to bed and there should only be liquids taken after that. This should be done for 5 days and during this time meals are to be made from prescribed items on a list provided with the product. There have been a number of comments posted regarding the product and not all of them are as complimentary. One concern is that there is caffeine involved and this can be quite a harsh stimulant. 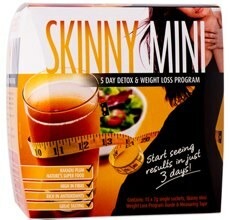 Add the amount in Skinny Mini to the amount that can be drunk during the day and the figure can reach an unhealthy level. It does say not to take in caffeine any other way, but suddenly stopping can be difficult for some people. One glaring statement is the amount of weight that can be expected to be lost. Many products make claims about how much you can expect to lose, but here there are varying figures mentioned. It can be taken from this that there is either not a lot of research done to prove effectiveness or there are worries that any figure quoted will not be met. It says between 1 and 4 kilos and that is quite a wide range – 1 kilo is really not a lot for someone following a diet, especially when there are supplements being taken. There is not enough information about lifestyle while taking the tablet. Diet is covered briefly and exercises are not mentioned and this could lead to the concern that health could be at risk if the wrong thing is done. One user has complained about excessive gas and this is very likely to be off putting. Most diets, fad or otherwise tend to attract a lot of celebrity interest, Many are happy to put their name to the product and tell everyone how easy the program is and how much weight they lost. It has been hard to find anyone who would say anything about using Skinny Mini and that is unusual. Beauty Health have reviewed the product and their member of staff who followed the program did find that there was some weight loss, but this falls far short of the praise expected from a successful product. Taking into account the cost, it was a lot of $ for a few lbs lost and a bit less of a bloated feeling. There are testimonials on the website but very little is known about the people involved. No pictures are provided and it is impossible to identify who they are – there is just a name and the State they live in. It could be that there will be people who have tried every other diet and so decide to give this one a go, but there is not a great deal of information to allow a considered opinion to be made. Big Claims But Little To Back Them Up. The official website appears to be the sole stockist and supplier. 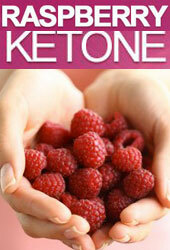 If your main concern is detox then Skinny Mini is worth using as long as your expectations are not too high. 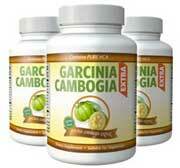 If you are looking for a diet product then help you lose excess body fat then Garcinia Cambogia is a great choice. 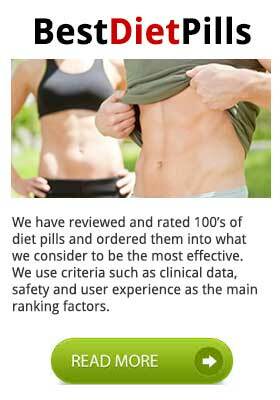 Containing Garcinia and Raspberry Ketone, Garcinia Extra is a premium commercial product that is available to buy direct from the manufacturers website. Media reports are announcing the future arrival of a new diet drink called Full & Slim – it is being hailed as something that can replicate the actions of a gastric band (according to British publication, the Mail Online). A gastric band or gastric banding is a surgical device that is fitted around the stomach, constricting it to make it smaller so that that food intake is physically cut down. Gastric banding is expensive, obtrusive and not without potential harmful consequences. So when a product arrives that removes the all the negatives from the equation while delivering similar results we have to sit up and listen. The reality though is that the Full & Slim diet drink is nothing like a gastric band, it is a world apart. This does not that we are not in favor – on the contrary. It consists of two naturally derived ingredients: glucomannan a natural byproduct of a fruit and l-carnitine, an amino acid. 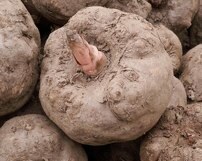 Of the two ingredients glucomannan (pictured left) is by far the most interesting. When glucomannan (aslo commonly known as Konjac or Konjac root) comes into contact with water (or liquid) it swells to safe levels between its surrounding. When glucomannan is used in diet products it swells in stomach creating a feeling satiety, or fullness so that the user cannot physically eat any more food. We guess this is where the marketing people responsible for Full & Slim came up with the ‘gastric band’ angle. Although the product has been announced there is no currently availability. Media reports it will be available in certain UK focused chemists and other authorised stockists. Please bookmark this page as we will include “where to buy’ information as soon as is physically possible. As we have alluded to above it is glucomannan that is the real driver of the product and not the product (or brand Full & Fast per se). 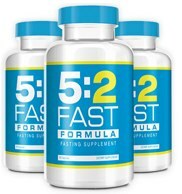 – glucomannan is used in the 5:2 Fast Formula, a commercial product that is best seller in countries such as the UK, United States, Australia and Canada. This website contains material that should not be used instead of or as either whole or part of a medical diagnosis. All information on this website is subject to copyright and cannot be used or copied with the website owners permission. This website does not stock any product and does not sell any product - all reviews are subjective and the opinion of the author. Copyright © 2016 Diet Pill Consumer. All Rights Reserved.